BTC - Several northeastern States are currently on the path of "self certification" or a State's certification process of compliance with the Real ID benchmark process. Maryland, New York, New Jersey, Delaware, Vermont, and Connecticut have all expressed intent to comply with Real ID regulations. 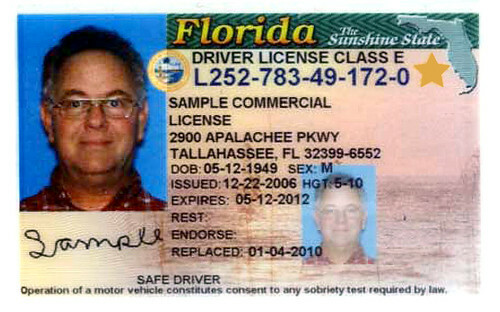 State certification is an interrim process for States to begin compliance with Real ID regulations. 12 states responded to an initial call for compliance certification in 2008. The process involves several letters of approval, issued by a combination of State officials, the State Attorney General's office and consent of a State's Governor. Federal funding to support State costs for Real ID certification initiatives was recently reinstated. The National Conference of State Legislatures [NCSL] received a grant notice today for $45 million in Real ID appropriations. State governments and licensing divisions who accept grants may buy into more biometric technology upgrades for licenses and to build database infrastructure. DHS had previously omitted federal appropriations for Real ID in March, 2011. The complicated process of national Real ID compliance is now encumbered by 25 States, who issued bans to the costs, policies and regulations. Efforts to mitigate federal standards in states like California, who recently upgraded local licenses for federal acceptance by the TSA, allow license applicants to opt-out of a national or federal ID card. According to Molly Ramsdell at NCSL, states expecting to be certified by the next DHS deadline, will bring license holders into federal compliance, even if they opted out of the process originally. Northeastern residents in New York and New Jersey who may have opted out of the enhanced drivers license, containing an insecure RFID tag, and the federal ID program would be required to provide proof of citizenship to renew their licenses by 2013. Their ID cards may be used in the future for crossing continental borders, boarding airplanes or other purposes deemed by DHS, like logging into an online terminal with a universal digital identifier. States engaged in the certification process may issue ID cards featuring a gold star, indicating the license is headed for DHS approval by the next deadline. To date, no State has been officially certified or deemed materially compliant with Real ID regulations due DHS extension of the deadlines until January 15, 2013. Big Thanks to my friends at FSD.com for sending in this tip. SEE ALSO: REAL ID protested in Clearwater, Fla. as part of the Eroded liberties series. "On the final day of last week's European Identity Conference (EIC) I sat in on a workshop/presentation of the new Respect Trust Framework, which is being billed as a new approach to giving individuals control over their personal data shared over the Internet and mobile phone networks." UN Proponent, Bill Clinton, wants “independent” news, Internet monitoring service. Blackbird-DoD invents another clandestine, surveillance technology to "TTL" - tag, track and locate. An Oxford study, policy of OSHA, yellow tag public health, medical surveillance . COLUMBUS, Ohio — Gov. John Kasich isn't tickled by Ohio's pinkish, newer driver's license and wants to dump the salmon color that was introduced in 2009 to improve security but has drawn grumbling in some circles. That may have something to do with Ohio's move to implement Real ID regulations on licenses starting this Monday. Thanks to Scott Henson @ GFB. BTC - Pray that someone reminds Governor Perry that none of this is an emergency. It looks as if a few groups may already be on task. Watch this bill here. Radiohead is exactly the band who will not prosecute me for promoting their songs online. Here is second life for news that matters. BTC - TEXAS UPDATE: The hearing for SB 9, a contentious gang enforcement bill containing Real ID language, is being rescheduled by the Public Safety committee to avoid complications over points of order. The bill was heard briefly before attending House legislators were called into session. According to DPS, SB 9 would retain drivers citizenship information for 125 years. The regulations would also require ID card applicants comply with a biometric facial recognition profiling. BTC -PENNSYLVANIA UPDATE: A bill to ban Real ID regulations in Pennsylvania was heard yesterday in the Senate Communications and Technology committee and is up for a vote next month. A bill was also considered to require voter ID. View video from the hearing here. "The "Real ID Act" of 2005 and the Secure Fence Act" of 2006 are existing laws that generated considerable border area controversy during the Bush years due to their use by DHS Secretary Michael Chertoff to waive as many as 36 environmental and health laws on several occasions. These included the San Pedro River and Goldwater bombing range. They were applied geographically to the immediate Mexican border region, although state identification cards required under the Real ID Act remain controversial and unresolved nationwide. In early 2009, DHS Secretary Janet Napolitano said that she reserved the right to waive laws under Real ID, but would not do so under ordinary circumstances. Later that year, Congressman Raul Grijalva (D-Az) introduced legislation to end the waivers by amending the acts but the legislation died before the Democrats lost the House." Connecticut gives drivers ability to opt-out with licenses spotted "Not for Federal Identification" but only after they scan your documents. New Jersey eats the Chip as "Next-Gen" EDLS become available. Ten Years Later: Surveillance in the "Homeland"
NPR's "The End of Privacy"
EPIC's: Do you know who's watching you? TRACK S. 1261 - The PASS Act. Have questions about what to do next? Sheila Dean is a writer and activist reporting developments unique to national indentity and data surveillance.